Camp Echo Bay is located on the campus of Salesian High School in southeast New Rochelle, 148 Main Street (also known as Boston Post Road/Rt. 1). It is easily accessible from I-95 and just minutes away from lower Westchester, lower Connecticut and the upper Bronx. Bus transportation may be available from certain points in lower Westchester and the Northern Bronx. 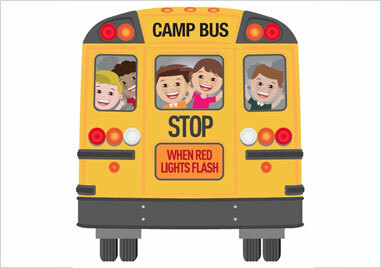 The camp is open Monday through Friday from 8:30 a. m. to 4:30 p. m. You can reach our friendly staff during camp hours at (914) 576-1251 or (914) 632-0248 to discuss bus routes and schedules or directions. Extended care hours (mornings and evenings) are available for an additional fee. Please select the bus stop that best suits your needs and place it in your application. Allerton Ave. & Kingsland Ave.
Morris Park & Eastchester Ave.
Morris Park & Tomlinson Ave.
Mosholu Ave & Decatur Ave.
Neil Ave. & Tomlinson Ave.
Pierce Ave. & Hone Ave.
Schely Ave. & Vincent Ave.
Schley Ave. & Ellsworth Ave.
Yates & Morris Park Ave.
Park Ave. & Sydney Ave.
Sheridan Ave. & East Lincoln Ave.
Willow Place & Glen Ave.
Fifth Ave. & Lincoln Ave.
W. Sydney Ave. & 8th Ave.
Kings Highway & Ronalds Ave.
May St. & Lockwood Ave.
Boyd Place & Pondfield Ave.